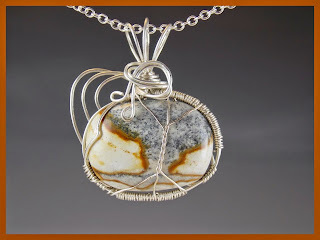 When I found this picture jasper cabochon, I immediately saw a dust cloud surrounding a tornado. I had to wrap it in wire. 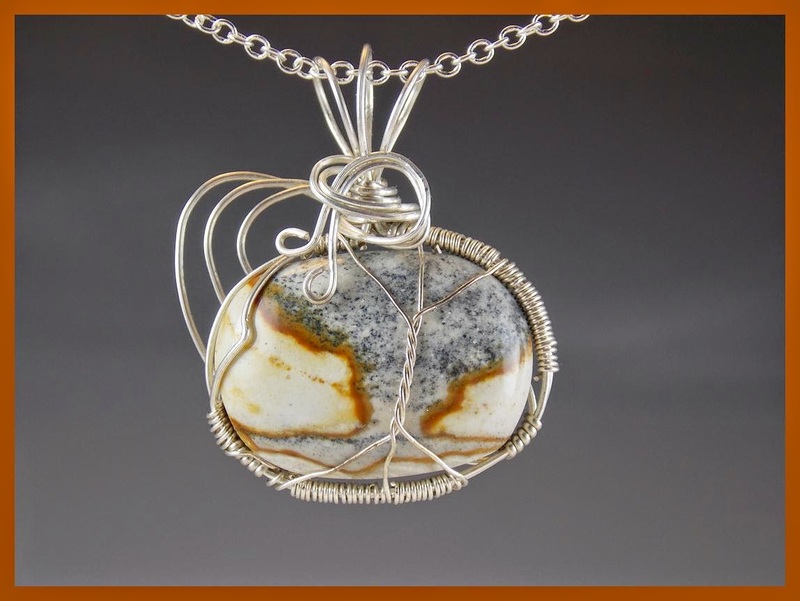 The pendant measures 1 1/2” long by 1 3/8” wide. Bail will accept any chain up to 1/4" thick.